i'm feeling a little obsessed with twine at the moment but don't worry, its just a crush. hee-hee! for this card i really wanted to create a twine "leaf". i tried wrapping a leaf die with twine and making twine loops and those were both cute but i wanted something with more movement. i ended up with just simple knotted strings on a very simple card. i started with a 3.5 x 5 card from solar white cardstock. i added ink splatters with one of my favorite stamps from the essentials by ellen brushstroke christmas set, stamping them in distress ink hickory smoke. i stamped and die cut the flower from the essentials by ellen bohemian garden sets and watercolored it with distress ink abandoned coral. i finished the flower with a little clear rhinestone. 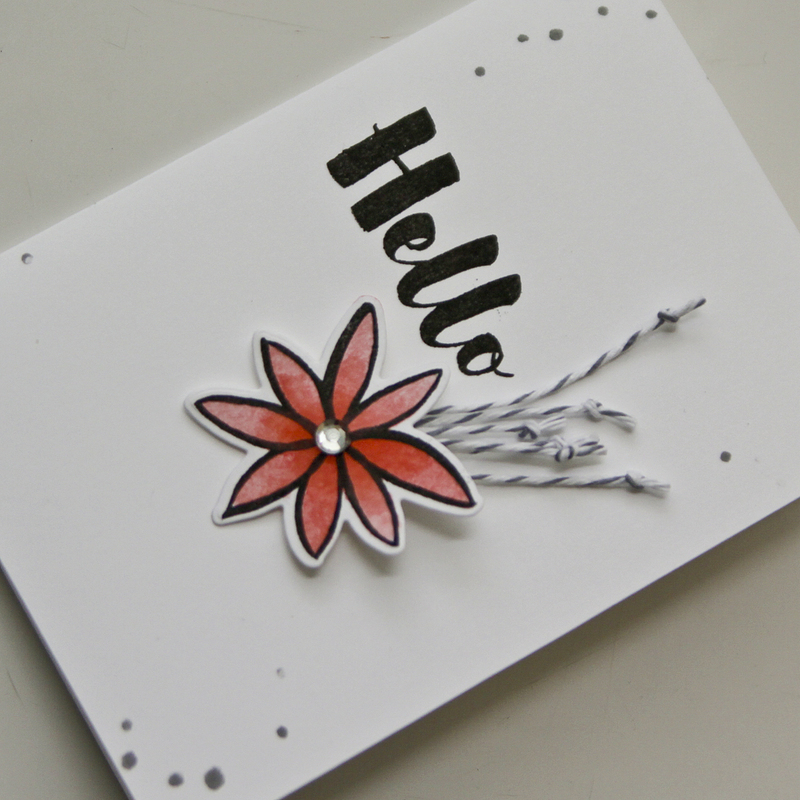 i added the knotted lengths of twine behind the die cut flower and 3d mounted it to the card. 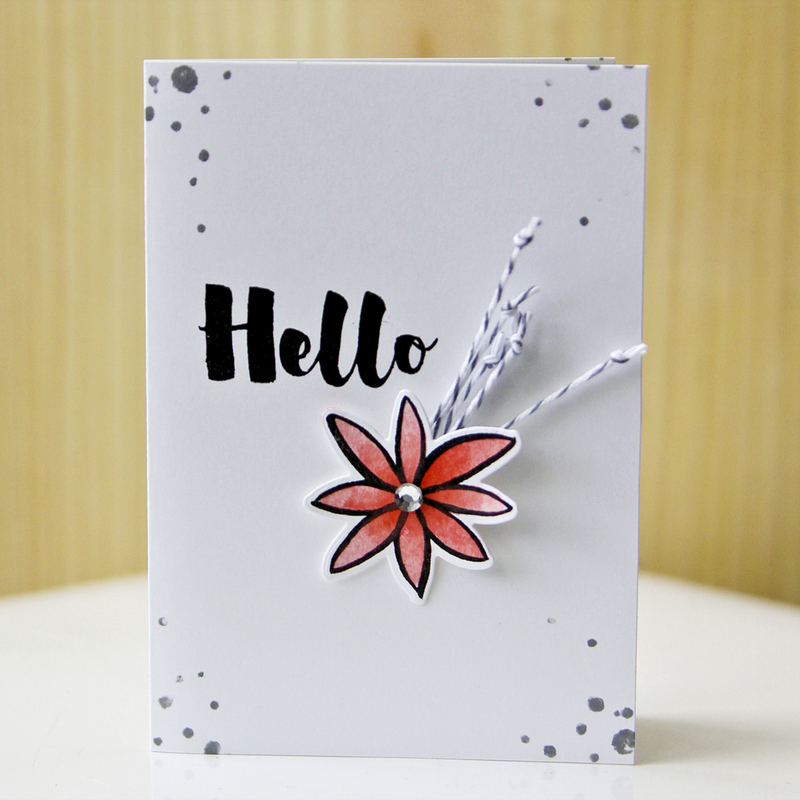 finally i stamped the "hello" sentiment from the essentials by ellen mondo magnolia set. Gorgeous, just perusing your lovely blog, thankful that I meet so many nice and wonderful crafty people!